Iloilo is a heritage haven of churches, with the Miag-ao Church rightfully recognized as a UNESCO World Heritage Site, but it is Iloilo’s oysters that I will always remember, and which I actually came back for on my second visit, during my 7-week Visayas backpacking trip. 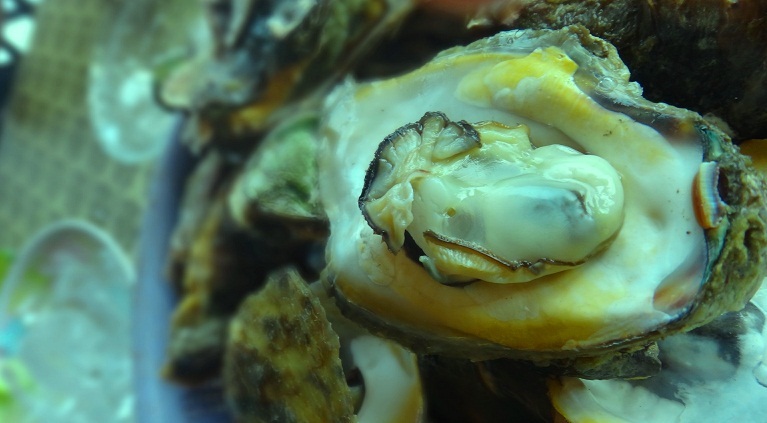 As soon as I sank my teeth into the plump and shiny oyster, I felt the sea burst in my mouth. It was salt, sweetness and freshness in one bite. At times, its juice dribbled down my chin. Its flesh was firm but not tough, and soft and pliant that it melted easily on my mouth. I was in love. Take a bite and taste the sea in all its richness. And, the steamed oysters were Php 35 per basket! This certainly beats the overpriced, sometimes shriveled, oysters in Manila. I became a vegetarian some years ago and I did not particularly regret giving up oysters. Later, I relaxed my vegetarian rule and conceded to eating fish and other seafood from time to time as long as they are fresh. After tasting Iloilo’s oysters, I was glad I did. On my second visit, I had a happy reunion with the oysters and unashamedly devoured two baskets by myself. This basket of oysters costs Php 35 (yes, that’s less than one dollar). If you want to have your own encounter with Iloilo’s delicious and cheap oysters, just go to any of the seaside seafood restaurants in the city’s Villa Baybay area. There are jeepneys in the city proper that ply the Villa Baybay route. Travel time usually takes 15-20 minutes. One local recommended Stanley’s Talabahan, and that was where I went on my first and second visit. 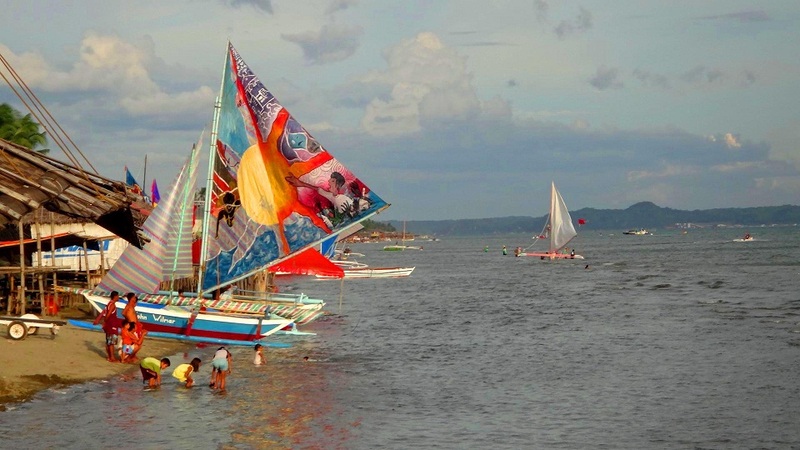 On my first Iloilo visit, the Paraw Regatta Festival was also taking place, so I was treated to colorful sails while enjoying oysters. I also went to the famous Tatoy’s Manukan and Seafoods once, but their oysters there are almost twice the usual price – and yes, they taste the same. A local and new friend also took me to Allan’s Talabahan, which he said has the best oysters in Iloilo. They were a tad sweeter than the oysters in Villa Baybay, though a food connoisseur may have more to say than me. My friend said the oysters at Allan’s mostly come from Capiz, the seafood capital of the Philippines. I have also been to Capiz and their seafood there deserves a separate blog entry. 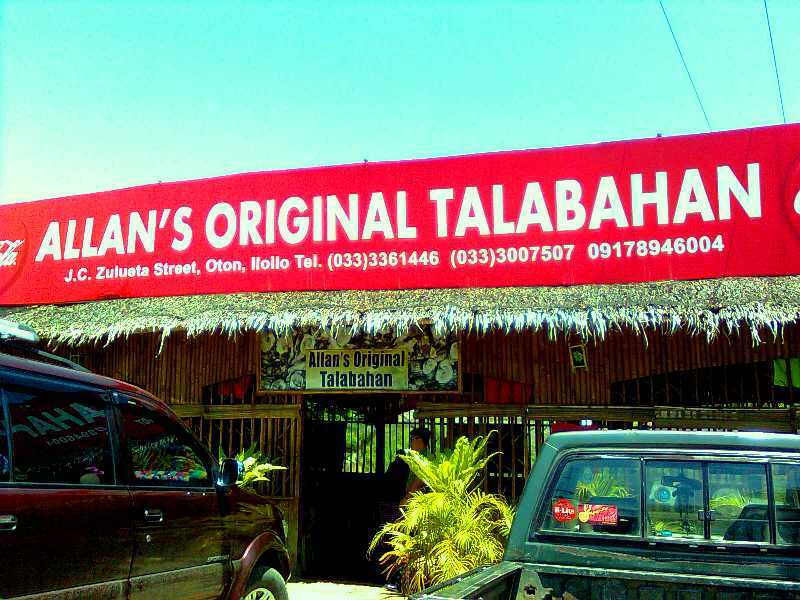 Allan’s Talabahan is in the municipality of Oton but is also easily accessible from the city proper by jeepneys plying the Oton route or buses bound for Antique. Travel time usually takes 30 minutes. 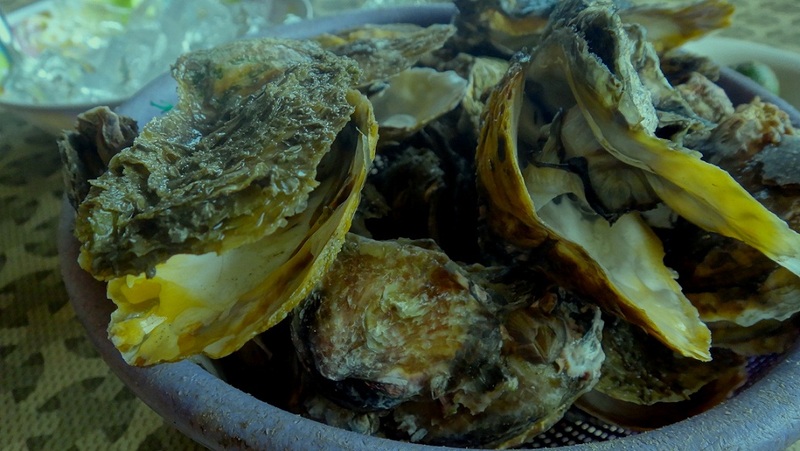 So, the first – or the next time you go to Iloilo, don’t forget to sample its oysters. I certainly will next time I visit. I doubt this love affair will be ending anytime soon. Was just there and agree, yum yum!